UCDSystems will join the 11th international exhibition of homeland security, Milipol Qatar 2016. There we will demonstrate our Under Car Detection System (UCDS). With this product we create a 3D scan of the bottom of vehicles moving across the threshold. In combination with the software we created a complete vehicle access control system with integrated video surveillance. This system lets you benefit from shorter security checks with a much better performance. Each bottom scan will be inspected for irregularities before decided if a vehicle will be granted access or will be denied to the compound. A rich database is built by storing every bit of importing data. This data can be used to analyse your traffic and generated reports. 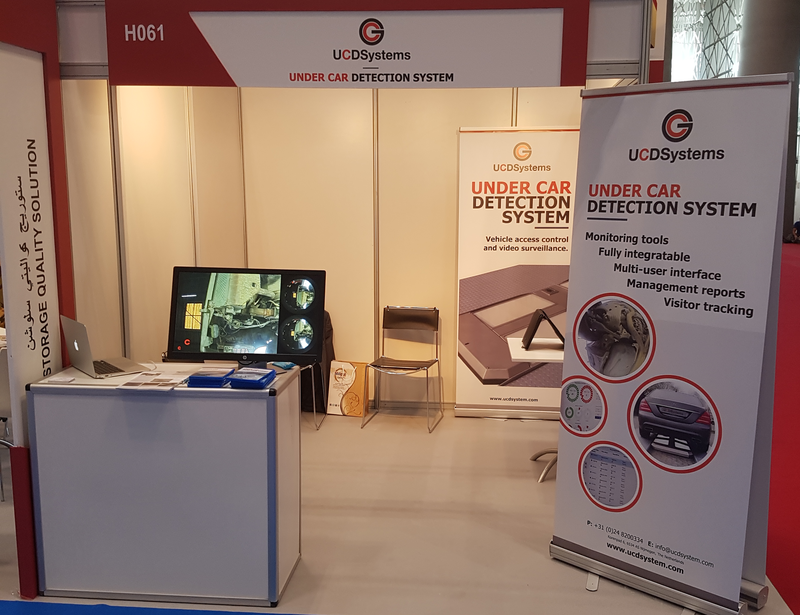 We hope to meet you at the Milipol Qatar and share our brand new under vehicle detection system with you. Afraid our paths don’t cross? Let us know you are interested in some more information about our product and we will arrange an appointment. Please send us an email though our contact form.